What happens when an insured receives a judgment in excess of his/her insurance policy limits when the matter could have been resolved within the insured’s policy limits? Think of a personal injury scenario where the insured received a claim by an injured party and tenders the claim to his/her insurer. What if that matter could get resolved within policy limits but it does not and exposes the insured to a judgment in excess of the policy limits? This could be where insurance bad faith comes into play in the third-party liability insurance context based on the totality of circumstances—the insurer acted in bad faith in failing to settle this third-party claim and exposed the insured to a judgment in excess of the insured’s policy limits. The Florida Supreme Court in Harvey v. Geico General Insurance Company, 43 Fla.L.Weekly S375a (Fla. 2018) just entered a fairly significant ruling in the insurance bad faith context with respect to third-party claims when it reversed the Fourth District Court of Appeal with direction to reinstate a substantial bad faith jury verdict against an insurer. This case dealt with a car accident that resulted in death. The driver that caused the accident had policy limits of $100,000 per occurrence. The decedent’s estate was not going to accept that amount unless it had verification in a recorded statement as to other insurance and assets the driver had, which was never timely facilitated by the driver’s insurer. As a result, the driver was sued and received an approximate $8 Million Dollar jury verdict against him. This prompted the bad faith lawsuit (i.e., the driver was exposed to a judgment well in excess of his policy limits) where the jury found the insurer acted in bad faith (because, among other facts, had the insurer timely facilitated a recorded statement of the driver regarding other insurance and assets, the estate likely would have accepted the policy limits since the decedent did not have other insurance or significant assets). The Fourth District, however, reversed the jury verdict and the issue on appeal became the application of bad faith law in the third-party liability context. We have explained that “[b]ad faith law was designed to protect insureds who have paid their premiums and who have fulfilled their contractual obligations by cooperating fully with the insurer in the resolution of claims.” Berges, 896 So. 2d at 682. Thus, “[b]ad faith jurisprudence merely holds insurers accountable for failing to fulfill their obligations, and our decision does not change this basic premise.” Id. at 683. We reaffirmed this duty insurers owe to their insureds in Berges, stating that the insurer “owe[s] a fiduciary duty to act in [the insured’s] best interests.” 896 So. 2d at 677. Indeed, “this is what the insured expects when paying premiums.” Id. at 683. The obligations set forth in Boston Old Colony are not a mere checklist. An insurer is not absolved of liability simply because it advises its insured of settlement opportunities, the probable outcome of the litigation, and the possibility of an excess judgment. Rather, the critical inquiry in a bad faith is whether the insurer diligently, and with the same haste and precision as if it were in the insured’s shoes, worked on the insured’s behalf to avoid an excess judgment. “[T]he question of whether an insurer has acted in bad faith in handling claims against the insured is determined under the ‘totality of the circumstances’ standard.” Id. at 680. Further, it is for the jury to decide whether the insurer failed to “act in good faith with due regard for the interests of the insured.” Boston Old Colony, 386 So. 2d at 785. This Court will not reverse a jury’s finding of bad faith where it is supported by competent, substantial evidence, as “it is not the function of [the appellate court] to substitute its judgment for the trier of fact.” Berges, 896 So. 2d at 680. In a case “[w]here liability is clear, and injuries so serious that a judgment in excess of the policy limits is likely, an insurer has an affirmative duty to initiate settlement negotiations.” Powell v. Prudential Prop. & Cas. Ins. Co., 584 So. 2d 12, 14 (Fla. 3d DCA 1991). In such a case, where “[t]he financial exposure to [the insured] [i]s a ticking financial time bomb” and “[s]uit c[an] be filed at any time,” any “delay in making an offer under the circumstances of this case even where there was no assurance that the claim could be settled could be viewed by a fact finder as evidence of bad faith.” Goheagan v. Am. Vehicle Ins. Co., 107 So. 3d 433, 439 (Fla. 4th DCA 2012) (citing Boston Old Colony, 386 So. 2d at 785). In the decision below, the Fourth District stated that “where the insured’s own actions or inactions result, at least in part, in an excess judgment, the insurer cannot be liable for bad faith.” Harvey, 208 So. 3d at 816. We conclude that this statement misapplies our precedent in Berges, where we stated that “the focus in a bad faith case is not on the actions of the claimant but rather on those of the insurer in fulfilling its obligations to the insured.” Berges, 896 So. 2d at 677. 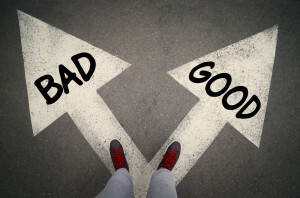 Bad faith conduct is a legal cause of [loss] [damage] [or] [harm] if it directly and in natural and continuous sequence produces or contributes substantially to producing such [loss] [damage] [or] [harm], so that it can reasonably be said that, but for the bad faith conduct, the [loss] [damage] [or] [harm]would not have occurred. Fla. Std. Jury Instr. (Civ.) 404.6(a). Nowhere in this instruction does it state that an insurer can escape liability merely because the insured’s actions could have contributed to the excess judgment. To take the Fourth District’s reasoning to its logical conclusion, an insurer could argue that regardless of what evidence may be presented in support of the insured’s bad faith claim against the insurer, so long as the insurer can put forth any evidence that the insured acted imperfectly during the claims process, the insurer could be absolved of bad faith. As Harvey argues, this would essentially create a contributory negligence defense for insurers in bad faith cases where concurring and intervening causes are not at issue. We decline to create such a defense that is so inconsistent with our well-established bad faith jurisprudence which places the focus on the actions on the insurer — not the insured. Berges, 896 So. 2d at 677.